FASHION HOUSE Outlet Centre Warsaw won the EuropaProperty CEE Retail Real Estate Award in the “Best Performing Outlet Center of the Year” category. The jury of real estate experts selected the best projects and companies active in the CEE retail real estate market in 2013. EuropaProperty CEE Retail Real Estate Awards 2013 were presented during a gala, which took place on February 13th in Warsaw. Winners were selected by an international jury amongst companies active in Poland, Czech Republic, Austria, Estonia, Latvia, Lithuania, Slovakia, Hungary and Ukraine. The gala brought together almost 500 commercial real estate professionals from the entire CEE region. 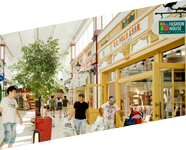 Opened in 2005, FASHION HOUSE Outlet Centre Warsaw with a GLA of 17,300 sqm offers customers 120 stores, a foodcourt, a childrens’ play area and a parking lot for 1,000 vehicles. 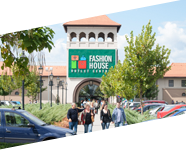 Despite unfavorable macroeconomic indicators in 2013, FASHION HOUSE Outlet Centre in Warsaw achieved excellent operational results and high footfall. Recently, it has also been voted the 2nd best fashion destination in Warsaw according to Gfk research. 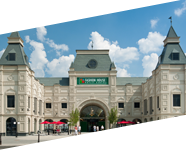 In 2007 FASHION HOUSE Outlet Centre in Warsaw was acquired by Polonia Property Fund II, managed by Peakside Polonia Management. 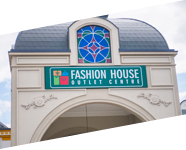 FASHION HOUSE Group had originally developed the scheme and currently is responsible for its management. – We are proud to have FASHION HOUSE Outlet Centre Warsaw awarded EuropaProperty CEE Retail Real Estate Award. It shows that our strategy aimed at positioning FASHION HOUSE Outlet Centres as thriving shopping destinations is paying off. – said Otis Spencer, President of Peakside Polonia Management. – We are delighted to see FASHION HOUSE Outlet Centre Warsaw recognized by industry professionals as best performing outlet centre in Poland. This confirms the expertise of our premium quality, experienced team of professionals in the area of outlet centre management – said Brendon O’Reilly, Managing Director of FASHION HOUSE Group.